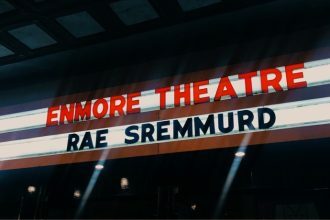 Whilst Sydney’s leg of this year’s FOMO Festival has been on the news for all the wrong reasons, our writer Talica Tamanitoakula caught the sold-out sideshow of US act Rae Sremmurd last Wednesday evening. Click through to read all about it. 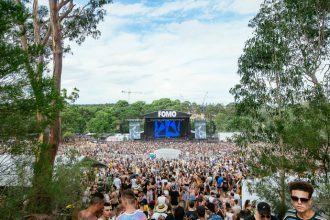 Summer festival FOMO has revealed their line-up for 2019. The all-day festival, which prides itself on having ‘One Stage. Zero Clashes’, meaning you have zero fear of missing out, is coming back to capital cities this summer. More details via the photo above, captured by Mitch Lowe. It’s here! The official announcement of the sideshows for your favourite artists on the FOMO bill for 2018. We’ve been waiting patiently for this and it’s finally here. Tourist, Kaytranada, SZA and Post Malone – will they be playing in your city? Click on the pic to find out! FOMO 2018 Have Announced A Huge Line-Up For Next January! 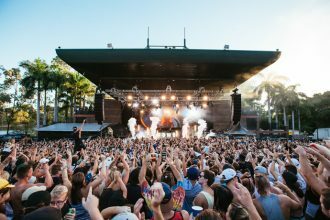 Aussie summer festival FOMO has unveiled its “biggest lineup ever”, which will see some huge electronic and hip hop acts perform in Brisbane, Adelaide, Sydney and now Melbourne in January. 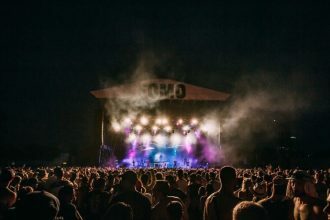 The one-day, one-stage and clash-free festival has named the likes of American producer RL Grime, Canadian beat wizard Kaytranada, the ever-enigmatic ZHU and alt hip hop star Post Malone on its lineup, alongside singer-songwriter SZA and homegrown acts like The Kite String Tangle and Nina Las Vegas. Click through for the entire line-up and details on how and when to grab your tickets. Cover photo by Mitch Lowe.